I get it; you’re looking in the mirror and thinking it’s just not working! You want help with your personal style, image and wardrobe. Greetings, you’ve discovered the right person for help! I offer personal styling, fashion designs and Image Consultancy for women. I want to help you discover your style, reveal your best image and change the way you feel, look and shop ~ for life! Be good to you. Hiring a Fashion Designer or Stylist ~ Image Consultant is not just for the stars, rich and famous. Everyone is entitled to dress their best and feel good. As women we take on the world with daily errands, handling the family, the career and let’s face it LIFE period, yet we neglect to put our needs on the list. I will help you embrace the beauty you have and self confidence you deserve. 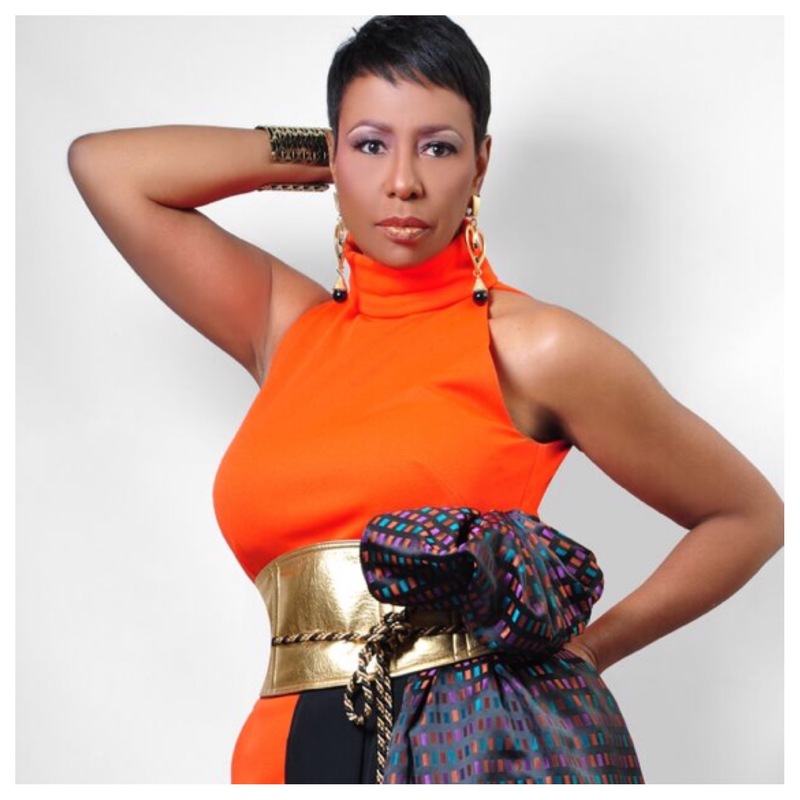 I design and create One-of-a-Kind and Ready-to-Wear clothing for the ‘Lady Like’ woman. My aesthetic reflect; elegance and class with a chic vintage flair. I have a keen eye for details, style and taste. As a seamstress and Image Consultant, I understand what works for today’s woman; balancing details and construction to enhance various body types, selecting fabrics and color characteristics to ensure a great look and above all delivering what makes her feel good. I strive to design with these elements in mind. Visit my collection of designs. Recommendations on the best way to organize your closet so you’ll always be stylish and ready on a moment’s notice. You’re looking to organize your closet and learn how to build a great wardrobe. Do you have the 10 key items that work 24/7? I’ll demonstrate 10 items that will take you from day (career or soccer mom) to the night (evening dinner). I’ll show you how to create over 40+ looks with these 10 items and how to save time and money by adding to your wardrobe with the right items. Improving your overall appearance is the goal. While keeping your lifestyle in mind, Constance will provide suggestions on the clothing in your closet using her R³ process ~ Retire, Retain or Renew. Prepare yourself for a fun and productive session, resulting in a closet that reflects you at your best. I’m a passionate shopper with a keen eye for details and taste! As a seamstress I understand; construction, proportion texture and fabric quality, these elements allow me to approach the fashion market effectively, dedicated in finding that right fashion forward attire for you. Looking for a different way to entertain ladies or need a Christian Women event presenter? Gather your friends for a fun-filled evening/day and discover the Divine Divas you were all designed to be! The session will include styling tips for dressing and accessorizing for each body type and frame as well as the colors that best suit. Your guests are divinely designed to walk in beauty and their outside appearance is indeed a reflection of who they are within. I acknowledge my gift is to inspire women to develop an outward appearance that is “Lady Like” in honoring Christ. Your guest will be wowed in how to dress with 10 Essential items. As an add-on: include 10 Jewel Fashion Show to your event. You select the date and venue for your event, market the event and handle your sales. May I suggest you host and provide this as a breakfast, brunch or luncheon. Select 10 ladies from your church to participate in a Fashion Show, walk the runway and honor up to three other ladies with a makeover. I will organize the fashion show, partner with a retailer for fashions and provide the makeover for three ladies of your choice (hair, fashion and makeup). *note the makeover fashions are a part of the fashion show and will return to the retailer, you may opt to bless the ladies with the clothing at an addition cost. The Fashion Show will showcase the 10 jewel characteristics a woman is designed to wear in honoring Christ and 10 essential fashion items every woman should have in her closet. A fun filled event. Your guest will be seated as attending a fashion show and will leave empowered to walk life’s runway confidently and fashionably. Offering fashion style advice and tips at your retail store or shop. I’ll coordinate the clothing looks and present to your customers how to achieve fashionably looks with various styles.